Dare to give a touch of color to your life with this his lovely japanese table lamp created by Marta Lopez. 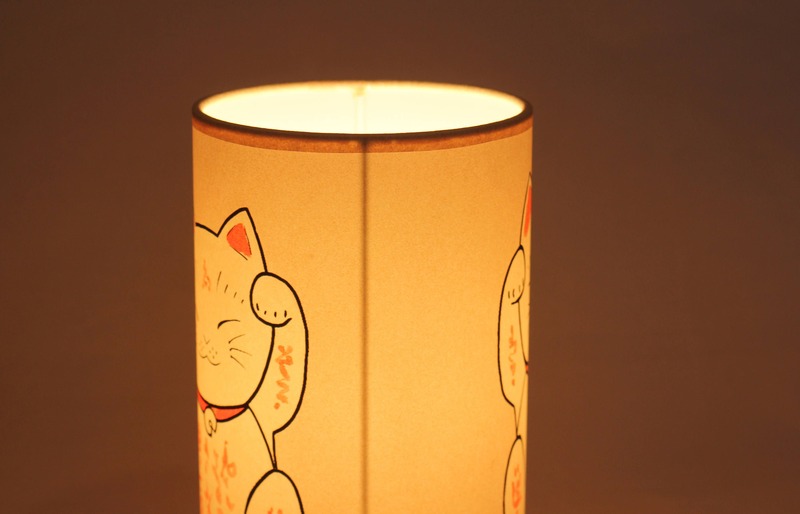 This japanese table lamp is another one of our pieces of our exclusive japanese collection. 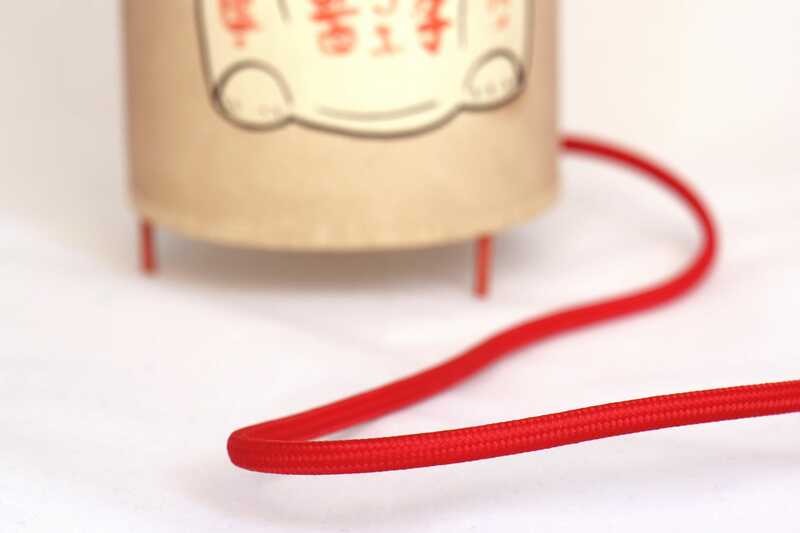 The word Maneki Neko is formed of two different Kanji: Mane ( 招 ) , Ki ( き) and Neko ( 猫 ). Maneki comes from the verb “ Maneku” (tio wave, to invite to enter, invite to come in) and “Neko” that means Cat. So the translation it would be “The cat that Invites to come in”. 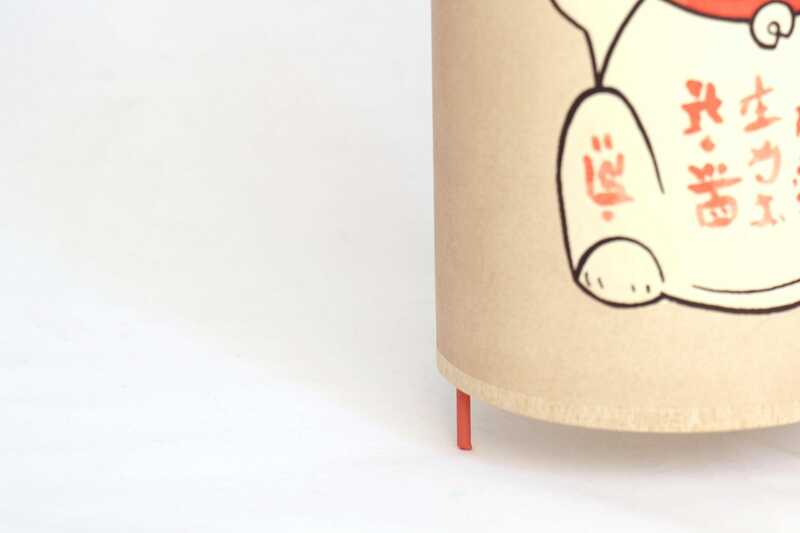 The japanesse tradition says that the message that the cat means with the movement of its paw is “Come in please, you are wellcome”. It is known that the belief of this amulete is based in different versionsof a known myth of the nipone History in wich a cat saved a man from a ray in a dark and hard storm. 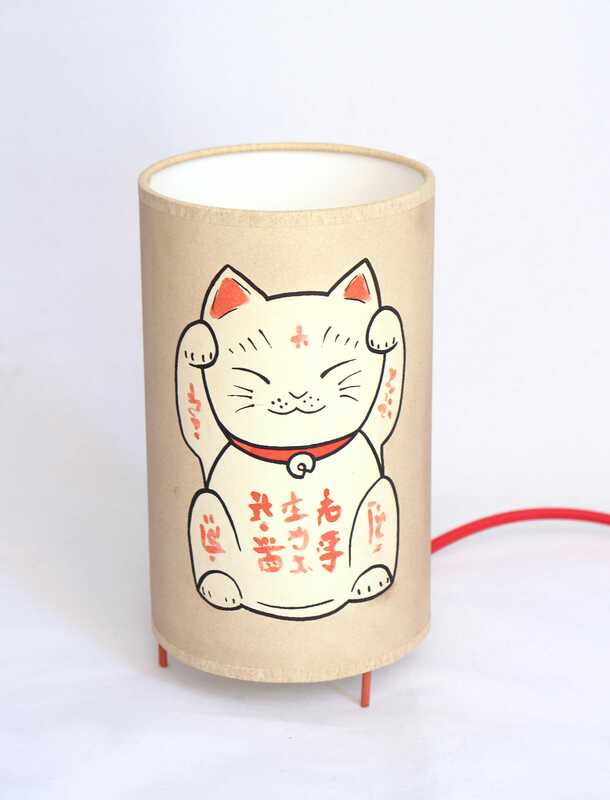 Nowadays they say that the Maneki Neko with a right paw up it will bring you good luck to your life and a Maneki Neko with a left paw up it means that it will bring you money to your life. And we are so ambicious and that's why we draw our particular Maneki Neko with two paws up! 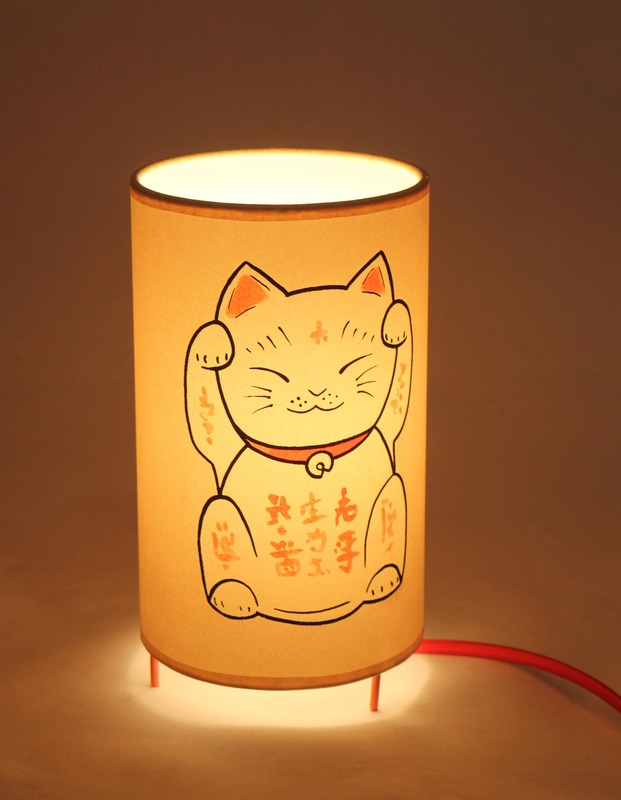 It gives a beautiful warm light that will give you the lightness you need to decorate your livingroom, dormroom, bar, office and any room yo can think of! Each creation I make is done in my atelier and each one is not identical to the others. Hand painted with acrylic for black lines and watercolors for the rest of the colors. My lamps, prints and notebooks are handmade and they could have little differences among them wich give them value and character to the piece. Una preciosidad! Me encanta. Da una luz muy cálida. Como vivimos en la misma ciudad, un mensajero la trajo a mi casa en pocos días. Muy bien acabadas. Muy buen trato con Marta.